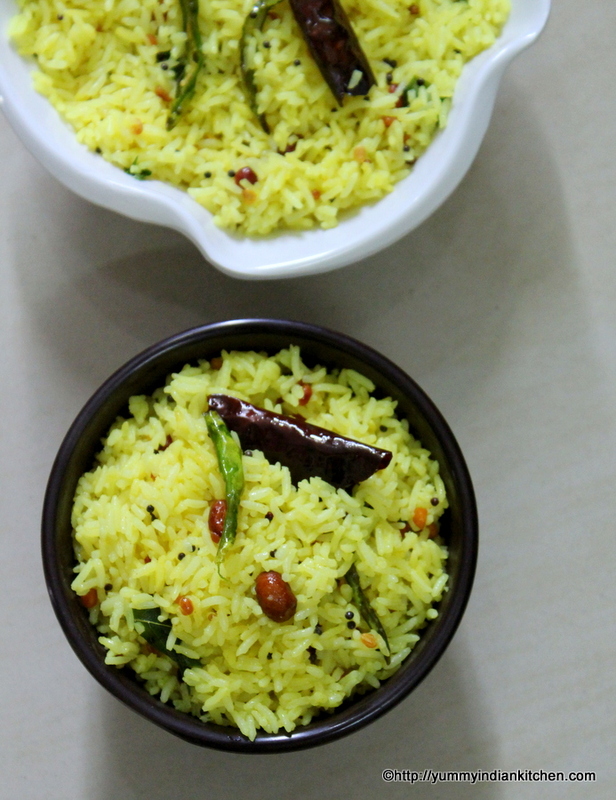 It is the easiest and a tangy flavored recipe which is basically a tempered rice often made in yellow color. 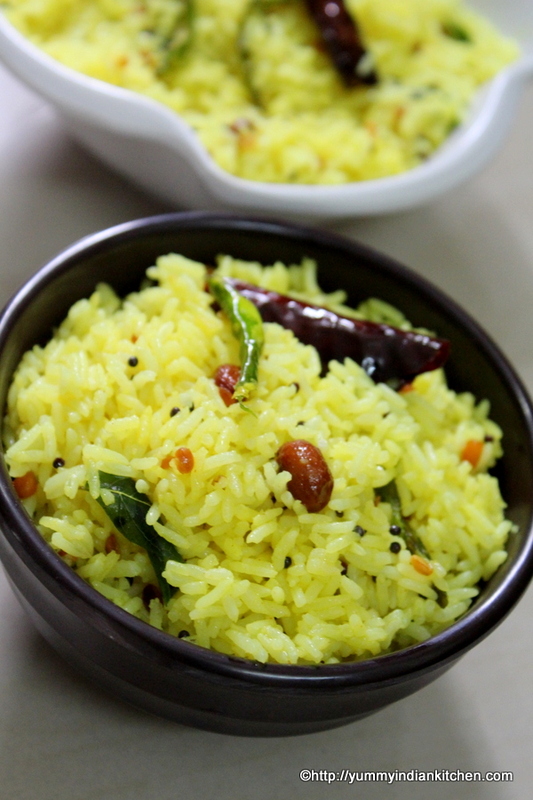 This south indian lemon rice or pulihora is a delicious and simple rice delicacy made with aromatic tempering of mustard seeds, dals, curry leaves, turmeric powder and lemon extracted juice. 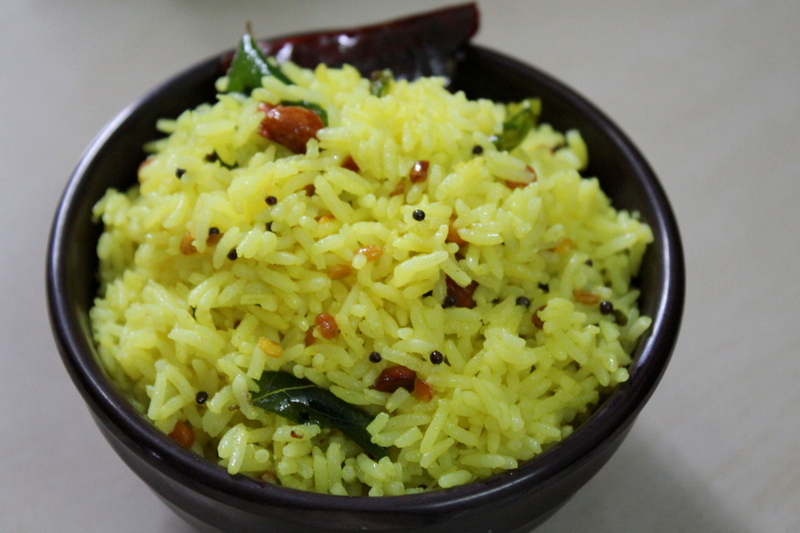 It is also made during several occasions down south and down south every occasion should mostly consist of a vegetarian rice delicacy and south indians mostly make chitrannam as a special dish. The lemon rice can often be packed as kids lunch box recipes…The color of the recipe is so appealing that nobody can resist trying it and having it. I just love making lemon rice often for breakfasts. When we have left over rice too then, making this special nimmakaya pulihora is the best option. 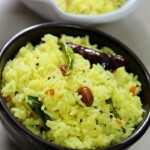 All we need to make this lemon rice is nimmakaya that is lemons and left over rice/cooked rice . Apart from that we just need few tempering ingredients to complete the chitrannam. Cook about 1 cup of rice and rest is aside for later use. Firstly, in a wok, add oil and heat it. Into it, add peanuts and saute well. Add chana dal and urad dal and stir the ingredients for few seconds. Add vertically slit green chillies and mix well. Add mustard seeds and dried red chillies and stir the ingredients. Add curry leaves and allow them to crackle. Add turmeric powder and salt as per taste and mix it up well. Add 1 cup cooked rice and mix the rice evenly with the tempering/tadka. Sprinkle lemon extract all over the rice and mix the rice evenly. Garnish with fresh coriander leaves if required.